An entertaining almanac of fun-filled information…for girls only. We locked the bad boys at the BRI in the water closet and let the fairer gender run things for a while. The result: For Girls Only! 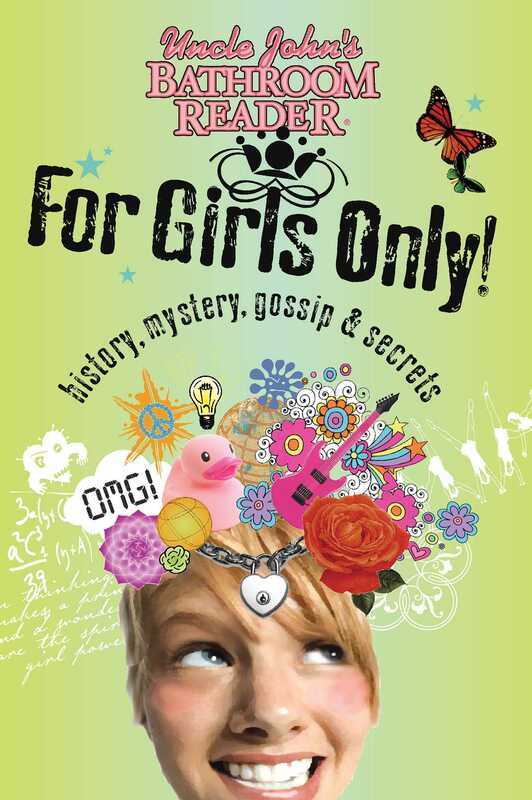 You’ll discover a secret stash of cheeky stories written for girls of all ages (but mostly pre-teens and teens). In what other book would you find fortune-telling tips through the ages, the recipe for Love Potion #9, and the origin of underwear? In no other book in the world! So unlock your inner goddess with . . .
Book Cover Image (jpg): Uncle John's Bathroom Reader For Girls Only!